University of California Press, 9780520201798, 270pp. 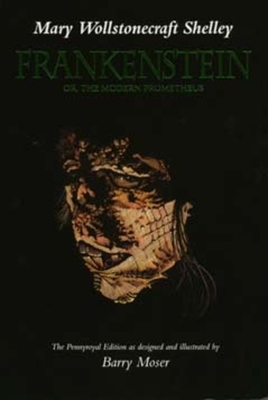 The California edition of the Pennyroyal Press Frankenstein unites the dark side of Barry Moser's art with the classic 1818 text of Mary Shelley's tale of moral transfiguration. In a vivid sequence of woodcuts, the reader witnesses the birth of the "monster" as Moser shapes him from darkness and gives him a form simultaneously ghastly in its malice and transfixing in its suffering.